Collab between my mate and me. 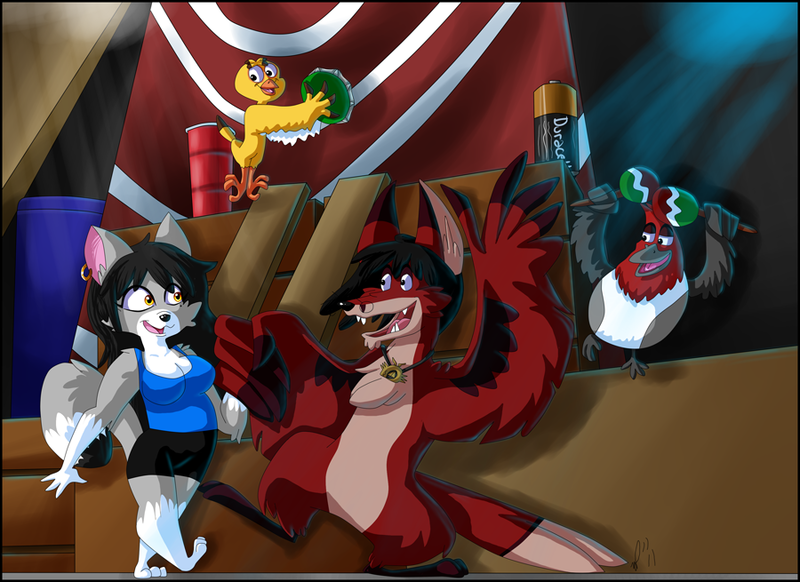 He drew the birds and our fursonas. This is his (and now my) favorite scene from Rio. He drew our characters in place of Blu and Jewel.